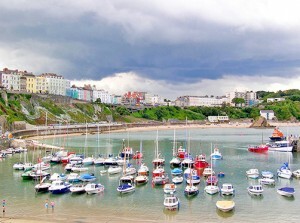 tenby photos-tenby harbour sailing boats. 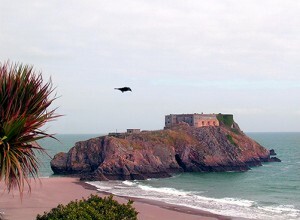 Tenby sailing club is situated in a three-storey building at the walled-off section of the harbour called “the Sluice”. It is thought the sluice wall was built in the 17th century,the construction of the Arched walkway across the Southeast side of the harbour was built in 1813. Around the Harbour walls throughout the summer there are many fun events. Tenby Firemans Carnival, Tenby Folk Festival, Tenby Round Table Summer Spectacular and not to mention Tenby Arts Festival and Tenby Blues Festival. All these are Great days out, entertainment for all the family and for all ages. Opposite the Harbour your leading onto North Beach to view Goskar Rock which stands prominent. Lovely views and picturesque scenery. Tenby Lifeboat Station+Boats. boat, boats, charter boats, children, cliffs, coast, coastal, coastline, footpath, fun, goskar rock, guide, harbour, holidayseaside, Julians Chapel, landscape, north beach, pembrokeshire coast national park, photo, photography, port, ports, RNLI, rocks, sailing, sand, scenic, sea, seascape, seashore, shipping, tenby arts festival, tenby blues festival, tenby firemans carnival, tenby fish week, tenby flower festival, tenby folk festival, tenby harbour, Tenby round table summer spectacular, Tenby Sailing Club Regatta, tenby winter carnival, the fishermans chapel, tourism, tourist, town, trips, uk, vacation, Wales, walking, world.